The showbiz veteran sang with Cole on stage at the London Palladium in 1961, four years before the American star's death, and a recording of the performance has resurfaced and been remastered. Sir Bruce said: "They have managed to preserve it all and put a new arrangement on it." The veteran entertainer made his name presenting the Sunday Night At The London Palladium show on ITV from 1958 and appeared on stage with stars including Julie Andrews and Sammy Davis Jr. It is not the first time Cole's voice has been resurrected for a new record - his daughter Natalie scored a top 20 hit in 1991 when she released a duet of her singing Unforgettable over her father's original version. 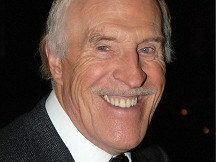 Sir Bruce's album is expected to be released this November.